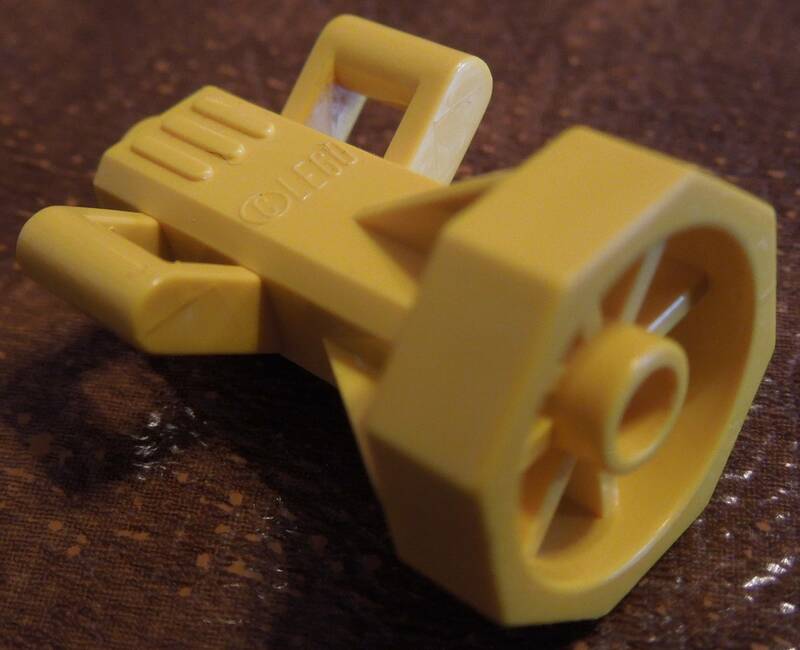 What is this Lego piece - Yellow with handles and an octagonal section? It clearly says Lego on it, but I have no idea what it is. The only number inside is 4-01. This is a "Underwater Scooter". It's a handheld device to propel a diver forward. Similar devices can be seen in the James Bond movie "Thunderball". What part is this grey keyhole shape and what set(s) is it from? What is the name/number of this Technic brick with two arms?